Since 1999, Andrea Marr has been delivering her brand of feel-good, high energy original funk, groove, blues and soul music around Australia. Through sheer hard work she has earned a place in the thriving Melbourne blues scene as one of its most sought after live acts. With these awards under her belt, Andrea has gone on to become a regular on the Australian Festival Circuit doing headline spots and playing alongside the best acts from Australia and overseas. With the 2005 Blues Performer of The Year Award, she was able to go on to represent Australia in the International Blues challenge in Memphis Tennessee in 2006 to critical acclaim. Her next CD “Watch Me Work It” received international airplay with the title track being included on the US “National Women In Blues” CD that promotes and launches the new wave of US Blues Women. Andrea was the only non-American female included in this compilation. In 2008, she released her album “Little Sister Got Soul”. The album received rave reviews and international airplay as well as winning the 2009 Australian Female Blues Artist of The Year, the 2009 VIC/TAS Female Blues Artist of The Year and the 2009 VIC/TAS Best Self-Produced Blues CD of The Year. In 2010, Chicago-based blues label “Blue Skunk Music” picked up “Little Sister Got Soul” for re-release in the US and the album hit No.18 on the US Living Blues Charts in February 2011. In 2012, The Andrea Marr Band won the MBAS Blues Performer of The Year competition and was sent to represent Australia in the International Blues Challenge in Memphis Tennessee’ for the second time. The band reached the semi-finals, playing at the internationally renowned BB King’s Blues Club on Beale Street Memphis. Andrea then branched out to expand her funk and soul sound and formed “The Funky Hitmen”. The band is based in Melbourne and features a killer 8 piece line up playing Andrea’s original soul and funky tunes. The EP “Sass & Brass” was released in 2013 by Chicago based record label Blue Skunk Music and received international airplay and critical acclaim. Then, In 2014, Andrea teamed up with producers Damien Reilly and Danny Saber to work on New York-based writer Michael Jameson’s song “Summer Love”. 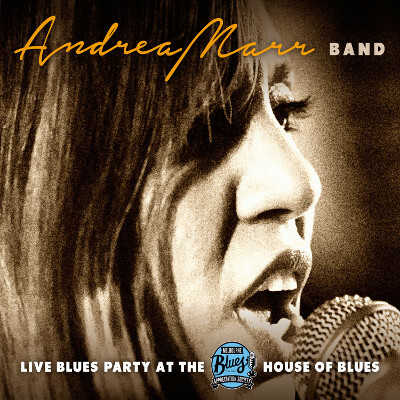 Going back to the blues, Andrea Marr Band then released a live album called “Live at the MBAS House Of Blues” in July 2015. The album charted in the top 25 of The Australian Blues and Roots Charts for 6 months, received airplay in the UK and Germany and was picked up by over 160 US blues radio stations. The album was nominated for “Album Of The Year” “Song Of the Year” “Band Of the Year” and “Artist of the Year” in the VIC/TAS Blues Awards and also nominated for “Song Of The Year” for Andrea’s original song “Who Am I To Judge You” at The Australian Blues Music Awards. 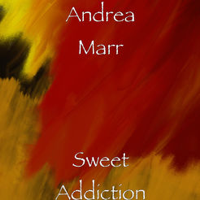 A collaboration with Hip/Hop R&B artist Markia created something new for Andrea Marr Fans when her original Gospel R&B song “Grateful” was released in 2015. The song received international airplay and charted in Sri-Lanka’s biggest music program YES FM’s Home Grown Charts – It stayed in the top 15 for 26 weeks in a row, reaching a whole new audience. The song was then picked up by Generation Entertainment and remixed as a soul/house track by New York DJ Lenny Fontana and also by Sydney DJ Sunset Child – release date June 2016. Andrea’s next 2016 release was the powerhouse soul single ‘Force Of Nature’ with her Funky Hitmen and in March 2017 she released a Roots/Rock track called ‘Sweet Addiction’ with guitarist Brian Strafford. In 2016 Andrea also wrote a Songwriting Book called “The Songwriters’ Handbook” to teach her students how to write and produce original music – the book is available on the Music page. In 2017 Andrea’s original song “Grateful” was a finalist in the Great American Songwriting Contest and “Force of Nature” won a Silver Medal at the Global Music Awards. Andrea’s New album ‘Natural’ released October 2017. The album is a true taste of Memphis soul/blues and has received rave reviews in the Australia, US, UK and Germany since it’s release on October 1st. It has also been played Australia wide, in Canada, France and all over the US. To buy the album go to the Music page. In May 2018 the “McNaMarr Project” was formed, with Andrea joining forces with powerhouse vocalist/guitarist and songwriter John McNamara. John’s 2017 release “Rolling With It” hit #1 on the US Roots Music Report’s Contemporary Blues Singles Charts and #1 on the Amrap singles charts, received 3 nominations at the Australian Blues Music Awards and won “Song of the Year” the McNaMarr Project WON the Solo/Duo section of the BLUES CHALLENGE in Melbourne on September 9th 2018 and are off to represent Australian Blues in Memphis TN in January 2019. McNaMarr Project brings the true sound of soul blues with their love of Stax, Chess and Motown written into every song. 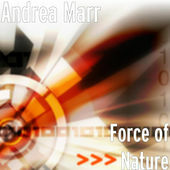 Andrea Marr is a DJ Central Records and Blue Pie Records USA artist. Andrea is published by Blue Pie Publishing USA for the “Summer Love” collaboration below.